Tessie Friedli’s life became something quite different than she imagined when her husband became blind and her son suffered permanent brain damage. Her idyllic childhood and early adulthood was filled with beautiful family bonds strengthened from hard work, achievement in many aspects of her life, and a joy filled marriage high with hopes of breezy years ahead. Within 2 years of marriage Tessie’s husband Zach, who had lost sight in one eye at the 15, unexpectedly lost sight in his other eye making him permanently blind. 1 year later their 2 year old son Dakota suffered permanent brain damage after being crushed under a fallen fence without oxygen for 26 minutes. 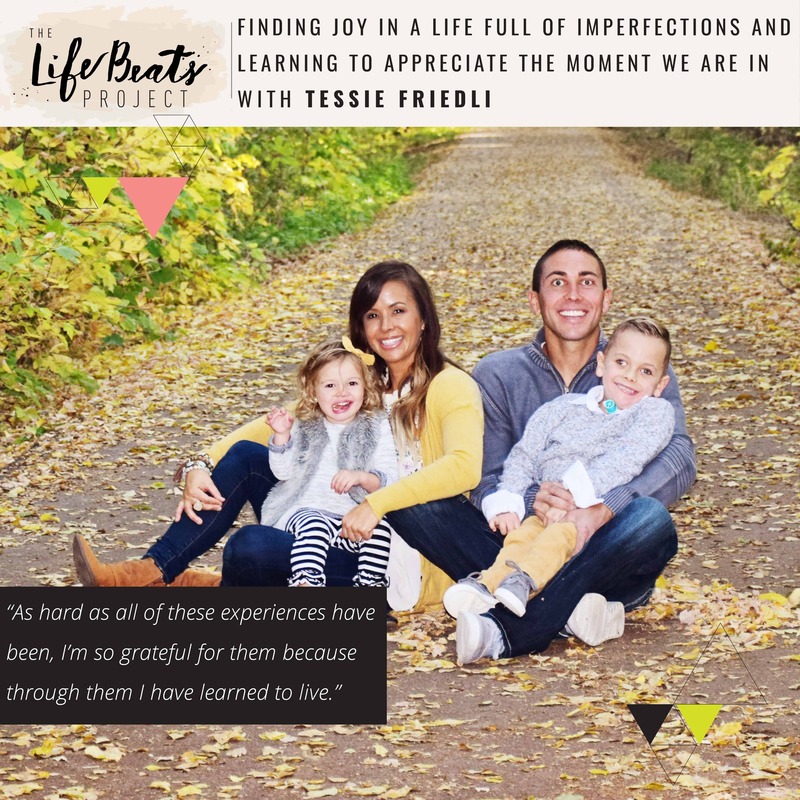 Tessie shares the details of both of these experiences with deep emotion and how the pain, the moment-to-moment hardship, the heartaches, the fear have become the lessons of hope, of survival, of gratitude, of happiness. That only when everything was nearly taken from her and she had to battle for life every day for her family did she finally begin to appreciate what she had. And how truly she can feel joy on a level she never felt, not because life has become easier, because it has only gotten harder, but because she can appreciate the simple moments of being a wife and mother more than she ever did before. Listen and be inspired to take a look at your own life and identify distractions that may be preventing you from truly learning to live in the moment for those things that are most important.